Well ladies and gentlemen, it’s finally here! Harvesting Nature’s very first (but not last) cookbook is here and ready for your purchase. Its hot off the press just in time for hunting season and the holidays. Our Editor-in-Chief, Justin Townsend has been working with the Harvesting Nature team to iron out the details for this awesome cookbook. It is kitchen tested and hunter approved. Food has been the essence of our survival since the dawn of the human race. We have waged wars over it, taken exploratory journeys to discover suitable land for crop expansion, and in modern times we seek to extract the most flavor and nutrients out of every morsel. Yet, somewhere along the way, people lost the connection to their food. In historic times, food was farmed, hunted, fished, or gathered. Pursuing wild game required a level of passion and dedication that many do not possess any longer. Today, most people seek their food on the grocery store aisle. They may not know the origins or even how it traveled to their fork, but we seek to change that by providing these recipes as a way to entertain, educate, and inspire people to reconnect themselves with their food. This book is a culmination of our culinary excursions over the past couple of years. As a hunter, our work does not end once the animal is on the ground. That animal’s life was taken to feed our family and friends. The meat should always be respected by using correct butchering techniques to avoid waste and by properly honoring the animal through the preparation of a delicious and hardy meal. Each recipe here was lovingly prepared just after the animal was harvested from nature, either by rifle, shotgun or bow, and was documented for you to prepare in your own home. In modern times, many people have lost the connection to their food. 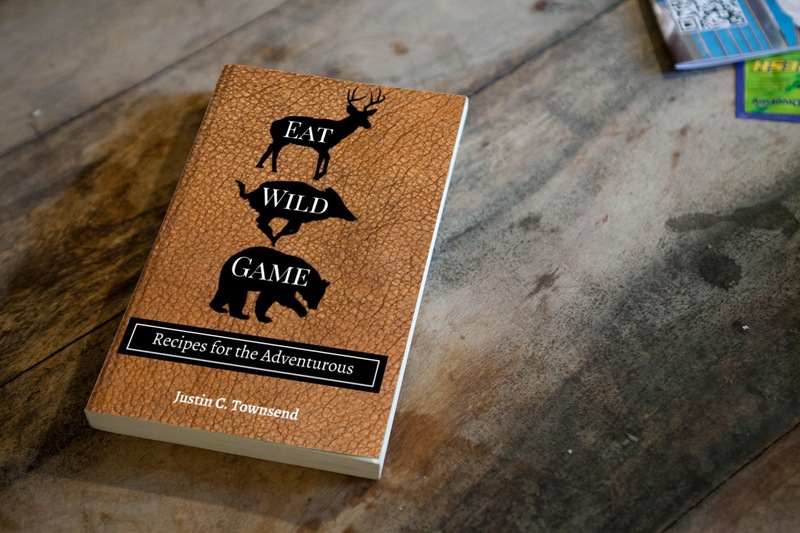 Eat Wild Game is the ultimate cookbook for those who wish to reconnect with their food in a delicious way. It was written with the hunter and home cook in mind. With meat harvested from across the North American wilderness, any hunter will appreciate the diversity of the recipes and the easy to follow instructions which allow anyone to prepare the perfect meal to honor their hunt. 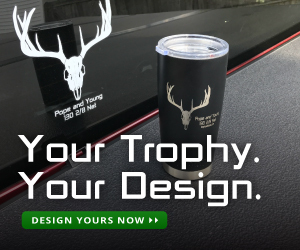 I was raised in a rural town in Southeastern Oklahoma where hunting and fishing are something that you become involved in at a very young age. It was commonplace for my family to supplement our meals with wild fish or wild game. For many, their passion of the outdoors was also a necessity to survive. My passion for the outdoors has grown as I have become an adult even though I do not depend on it for survival. That choice resonates as a better choice for a way of life. I moved away from home and put my outdoor life on hold while I was attending an urban university. I did pick up some other valuable skills. I learned my way through the kitchens in New Orleans and educated myself on how to properly cook and serve many varieties of food. When I moved to Southern California I took my passion for the outdoors and paired it with my love for food. I believe that in modern times there is a serious disconnect for many people between their food and the plate. There are now generations that grow up thinking that you can only get your food from a grocery store. Just a few decades ago people were not following this train of thought. They were still heading out into the wilderness to hunt and fish for their food. Going out and sourcing your food from nature has many more benefits than grabbing an item off of the shelf at the store. You can instantly connect the dots as to the route your food travels to get to your plate. The animals I hunt and the fish I catch go straight from the wild, where they are humanely harvested, to the stove/grill, and then to the table to feed my family. This notion has become ever so important as I became a husband and then a father. I want to know that the food we eat is not harming my family and the only true way to verify this is to find the food myself.